McKey said he was delighted when two village chiefs contacted Adventist World Radio to request Bible studies before the evangelistic meetings even began. “They said, ‘Please send us a teacher because we have been listening to the Adventist World Radio broadcast and we want to become Adventists,’” he said. The chiefs also offered land to build Adventist churches. Two Japanese pastors now are preaching in those two lowlands villages, and several Adventist churches have sent Bible workers to help prepare the villagers for baptism later this month. 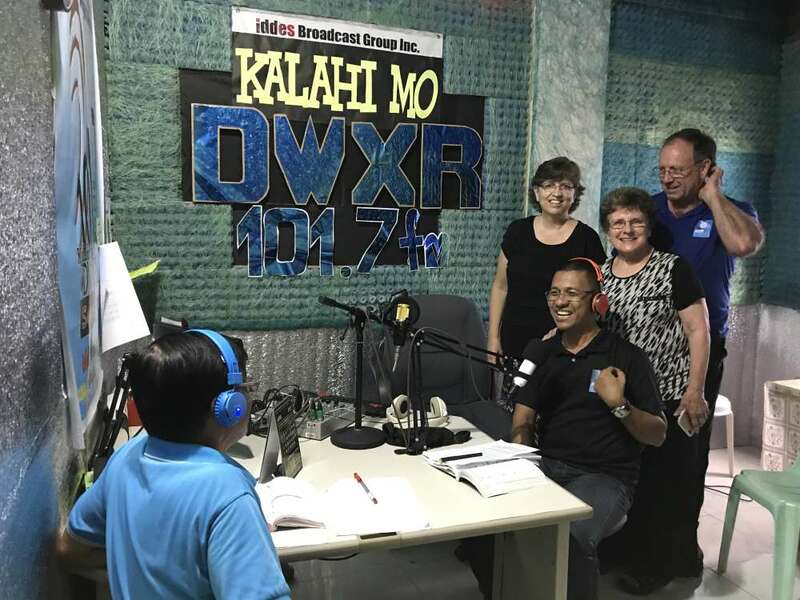 Duane McKey, right, visiting one of the nine radio stations airing Adventist World Radio content. 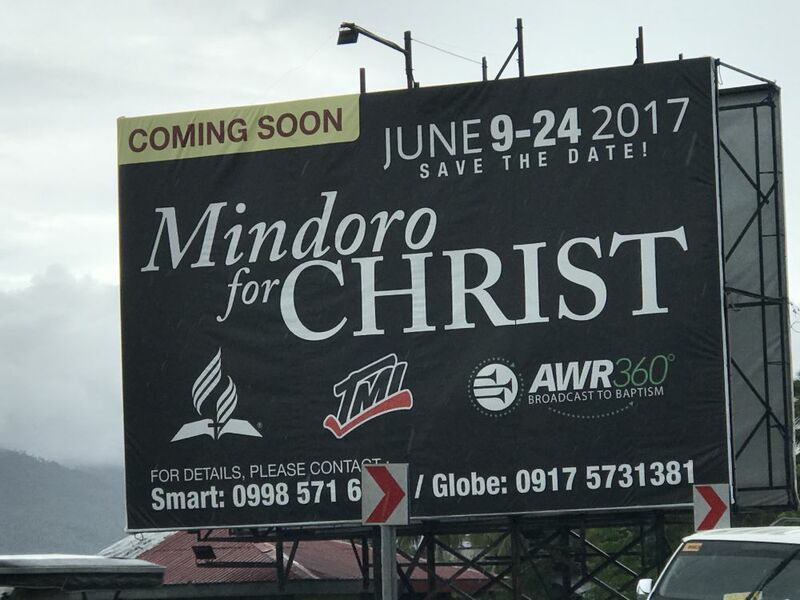 A billboard announcing evangelistic meetings on the island of Mindoro in the Philippines. 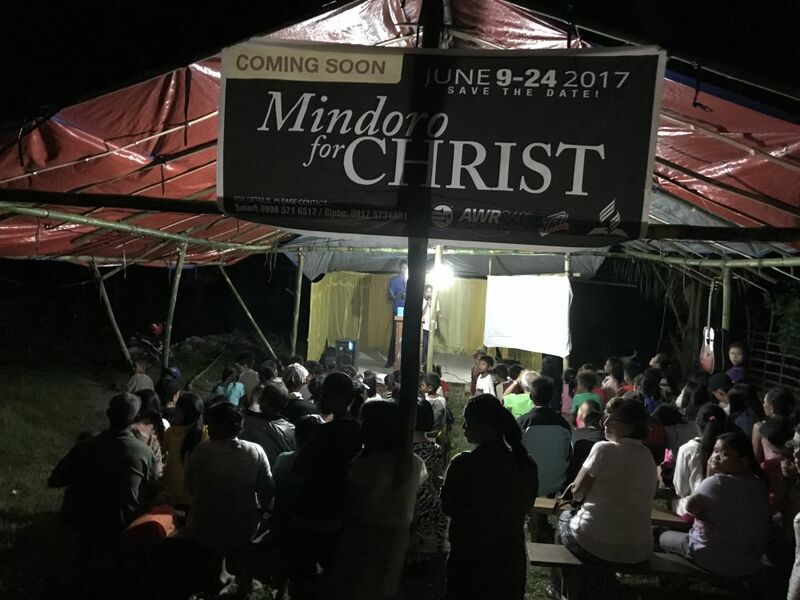 People attending an evangelistic meeting on the Philippine island of Mindoro. 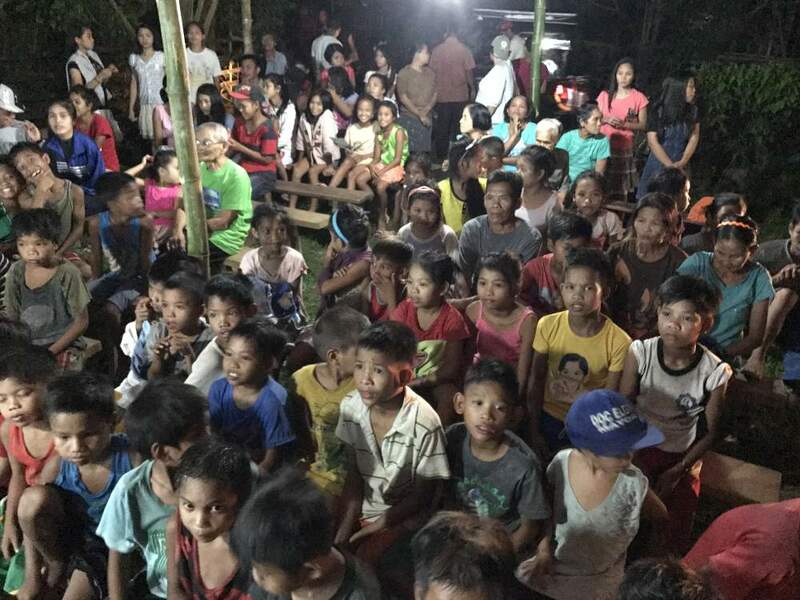 Filipino children listening to the evening presentation at an evangelistic meeting. Residents of a third village, located high in the mountains, contacted church leaders to request baptism after listening to several weeks of programming. “At first it was only one family, but now it seems it is the whole village,” McKey said. Church leaders have scheduled a June 24 baptism for the villagers. McKey said a fourth village is also in the mountains but it doesn’t have radio reception. To listen to the Adventist message, the villagers walk down the mountain to an Adventist-owned store in Calapan, a major city. 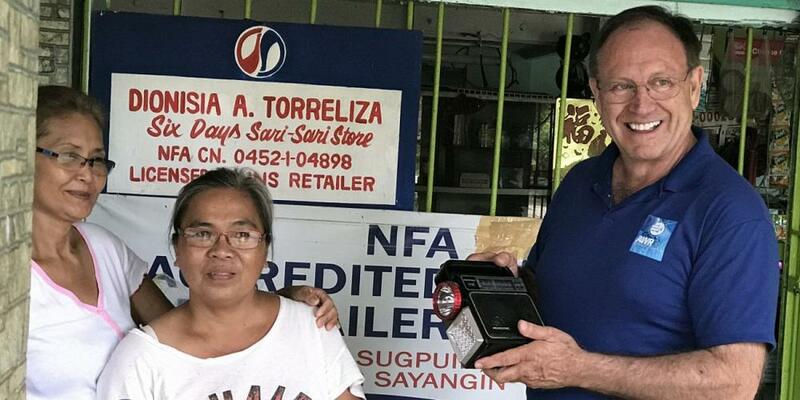 The owner plays Adventist World Radio programs in the store, which is called the Six Days Sari-Sari Store because it is open every day but Sabbath. McKey noted that Mindoro means “gold mine” in the local Tagalog language, a nod to its history as a gold mining island in Spanish colonial days. “Precious people, yes, more precious than gold, are making decisions for Jesus,” he said. ​Former L.A. Gangster Helps Run Adventist Hospital in Mexico Robert Gonzalez Medina goes from gangs to God. Doctrine Didn’t Persuade Him. It Was an Adventist Roommate A church leader in Jamaica says nothing is more powerful than a good example.